After four and a half years of iGaming industry experience with Casino City, Becky Liggero joined Bitcoin Entrepreneur and Economic Envoy to the Government of Antigua Calvin Ayre to serve as the Head On-site Reporter for the Calvin Ayre Media Group. Since August 2009, Becky has exclusively conducted interviews with senior level executives and enthusiasts for <a href=”http://calvinayre.com”>CalvinAyre.com</a> and <a href=”https://coingeek.com/”>CoinGeek.com</a> while continuing to travel the world and document her adventures for all to watch and read. The first Bitcoin Association Wallet Workshop, hosted by nChain and sponsored by CoinGeek, in London has been an undeniable success, gathering parties in the Bitcoin SV (BSV) space to collaborate, share ideas, solve problems and pave the way for further development in BSV wallet solutions. This Bitcoin Association event was hosted by nChain, the global leader in advisory, research, and development of blockchain technologies and the purpose was to facilitate a brainstorm on how to improve BSV wallet offerings. After three productive days at the CoinGeek Week Conference and the preceding invite-only Miner’s Day, delegates were welcomed to London’s prestigious “Cirque Le Soir” on Friday, November 30th for a proper BitcoinSV “geek out, freak out”. CoinGeek Week 2018, the second conference organized by CoinGeek.com, succeeded in gathering the brightest minds and pioneers in the Bitcoin SV (BSV) space and educating those who wish to learn more. The last week of November marked the inaugural CoinGeek Week, a four-day event including a three day conference and special “invite-only” pre-conference Miner’s Day on November 27th at the Mondrian in London. The highly anticipated event is designed to educate everyone, including iGaming professionals, on Bitcoin BCH will change our world for the better. The Malta Blockchain Summit opened its doors at the Intercontinental this morning, welcoming back thousands of blockchain professionals and enthusiasts from around the world. On the evening of October 25th at the Huckleberry in Shoreditch London, dozens of Bitcoin professionals, enthusiasts and media gathered at the London BCH Speaker Series II, an event organized by Cryptartica. On the evening of October 4th at the St. David’s Hotel in Cardiff, nChain’s Jimmy Nguyen and Dr. Craig Wright keynoted an evening of Blockchain and Bitcoin BCH education, hosted by IP law experts, UDL. It has been a year since the rebirth of Bitcoin (now named Bitcoin Cash) on the original blockchain and what better way to celebrate it than having a party, CoinGeek-style. A session with BCH community took place in London, to encourage merchant and mass adoption, the importance of miners in the big picture and relationship building strategies, both internal and external of the BCH community. 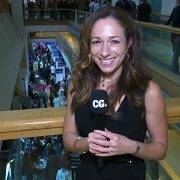 CoinGeek.com's Becky Liggero was at the Olympia in London to give us the highlights of the two-day Blockchain Summit London where leaders of the cryptocurrency space converged and shared new ideas. Our Founder, Calvin Ayre, turned 57 on May 25th and with the help of Bitcoin BCH and Julie Girgenti of Exceptional Events, he kicked off his 57th year with what was, without a doubt, an exceptional event. CoinGeek.com's Becky Liggero shares the highlights of the Transform Africa Summit Blockchain Hub where speakers and thought leaders tackled how Blockchain can be used to improve trade within the natural resources-rich continent of Africa. May 7th marked the Summit’s Blockchain Workshop, an event taking place in Kigali’s Serena hotel with a mission of educating local students and entrepreneurs on Blockchain technology. Dozens of excited BCH enthusiasts, users, merchants and other professionals came together to network, learn and nurture the local BCH community. Calvin Ayre has chosen to conduct his first video interview dedicated to the subject of Bitcoin here in London with CalvinAyre.com. The purpose of this post is not to convince you to buy Bitcoin Cash (BCH), its to tell you how to buy BCH if you want it.